The first time I went to the Edinburgh Fringe was back in 2004. I watched a few shows, walked around aimlessly, soaked in the mood and returned home rather more bewildered but determined to go back the next year. Edinburgh was teeming with artists and actors and theatre makers that the very atmosphere was redolent with heady hedonism and I knew I would return. However, it wasn't until more than half-a-dozen years later that I went back. I hadn't done any preparation and was simply assaulted by the full force of the artistic whirlwind that's Edinburgh in August. And I have been going back nearly every year since and this year, I planned my visit carefully. As a result of which, I have returned home feeling that I had made the most of my trip. 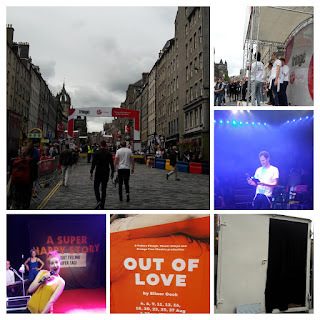 So this is my attempt to capture some of what I experienced while also helping anyone that intends to go to the Fringe. But first, a bit about the festival itself. Edinburgh Festival Fringe began in 1947 (lots of important things seem to have happened that year. Happy Birthday, India!) as a spill out from the more established Edinburgh International Festival. It's a no-holds barred, anything goes sort of an event. And you can witness everything the most inconceivably brilliant show tucked away in a small venue that can hold no more than fifty people to a bizarre, convoluted post-modern expression of art that will have you shaking your head. The Fringe includes everything from circus to music to spoken word to dance to comedy to theatre. I tend to favour theatre over other arts and this year was no exception. I managed to watch some pretty good shows with writing that crackled with humour and empathy. As ever, there were a couple of shows that, had I not been hemmed into a corner, would have seen me slipping out quietly. There was more than one occasion when I was moved to tears and being able to watch the actors perform so close, to be drawn into their lives, their stories...was a rare privilege and one that only theatre can achieve. My flights and hotel to Edinburgh get booked in depths of winter when any sun or warmth seems unimaginably distant fantasy. It is an uplifting feeling to believe that in a few months I will be thrown into a melee of art and culture and this singular thought helps me navigate the dark months. But more practically, booking ahead means you make a lot of savings as the alternative is paying eye watering rates. - It's Summer, But : It's not the weather but your wardrobe, they are wont to say in these parts. Edinburgh does not always get very warm but it gets very wet and remains quite cold through the year. So even if it seems silly to be packing a pullover and a jacket in August, do just that. 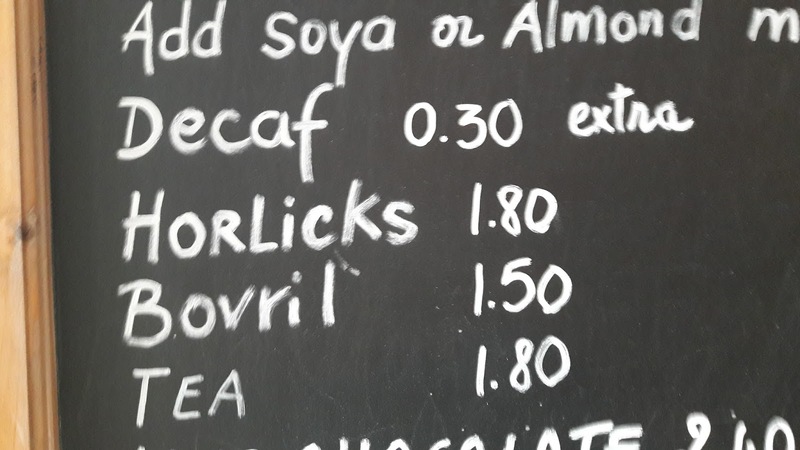 You will need it. An umbrella or similar to keep you dry is also a very good idea. - Sensible Shoes: There's a high chance that you will be doing a lot of walking. Some of the venues have cobble stones (like Pleasance) and high heels are perhaps best avoided. - Food & Drink: I don't function well when I am hungry. 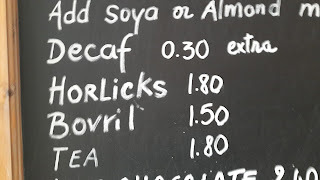 Luckily for me, Edinburgh is blessed with some fabulous independent cafes (including one where JK Rowling is supposed to have spent hours writing) and delis which cater to every food persuasion. You will also find plenty of mobile catering vans offering delicious hot and cold food. Make sure you eat and drink well in between shows. - Time Wise: Shows are about one hour long each (there was one show this year which was five hours in length - I passed on the offer) and popular shows have long queues to get in. So if you have back-to-back shows booked in different venues, then you have to factor not just the commute but also getting in the queue in order to bag a good seat. Also, several shows don't let late comers in, so wearing a watch may be a good idea. - The Expert: This year's Fringe Guide book was about 300 pages long and packed to the rafters with shows. Throw in the fact that as you walk down the Royal Mile or go to any venue, you will be offered flyers for others shows that you hadn't considered attending. Add in the random people you meet at queues and coffee shops who insist that you must watch this show or another. Suffice to say that it will be overwhelming and you might want to just go back to the hotel and watch re-runs of Friends. 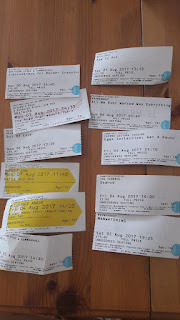 This year I decided to seek the help of someone who knows a thing or two about theatre in finding good shows to watch. 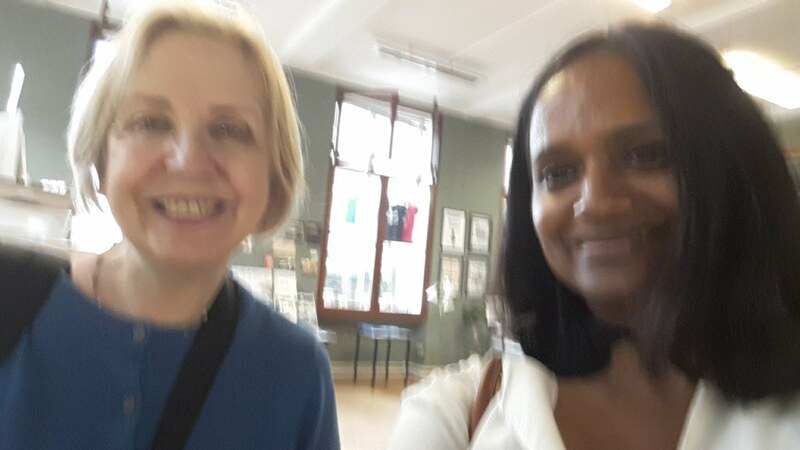 Lyn Gardner is the Guardian's theatre critic and I used her blog about what to watch at the Fringe as a guide to book my shows. It was a tedious task sifting through all the shows she had recommended and to find the ones that were running during the few short days that I was there (some shows run all month except weekends, some only for a few days) and to check that they didn't overlap with another show that I had already booked and most importantly, to be certain that this was the sort of show I wanted to watch. But the effort was worth it as it meant I knew where I had to be and how long it would take me to get there and to book the tickets in advance. Tickets for five star shows sell out very quickly, so if you know you want to watch a show, then book it straightaway. Tip: Try to cluster your shows in and around the same venue to same time walking around. - App: The free Fringe App has come a long way since its clunky first avatar. The app allows you to look for shows, draw up your own diary and book tickets. Download it. - BBC hosts loads of free shows which are always good value. However, you need to register in advance and lots are drawn to allocate tickets . But be warned, having a ticket alone does not guarantee entry. You have queue in advance to get it validated to be allowed entry. And if there are too many in the queue ahead of you, you might be turned away from even queueing. - There's plenty of free events all round the Fringe. As with everything these days, there's a free Free Fringe app which you can download to find out what's on. The performers usually pass their hats around at the end of the show and it's only polite to throw in a few quid at the end of it. - Cost: Tickets cost around £10 but several shows have a 2-for-1 offer, so it might be worth looking out for those. - Best Days: Mondays tend to be the quietest, so might be easier securing tickets for popular shows. 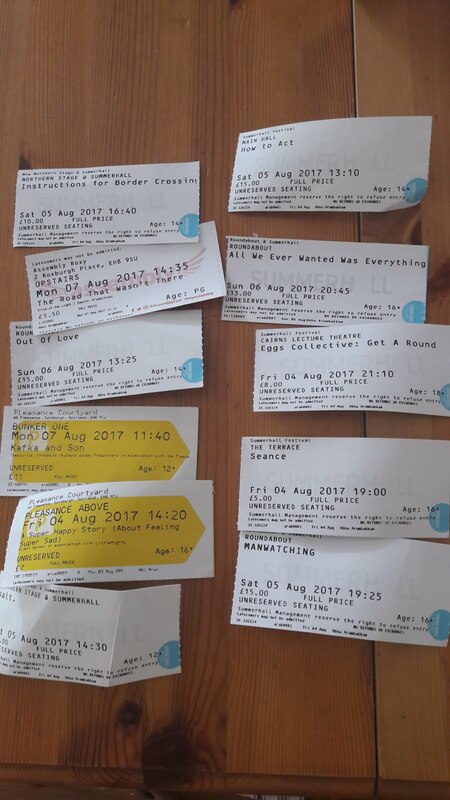 With 50,266 performances of 3,269 shows in 294 venues last year, The Fringe is just too big for you to watch everything. There will always be that one great show that you missed. So it is better to just accept that time is finite and shows are aplenty and enjoy the ones that you have seen. And know for sure that you can always come back the following year for some more Fringe frenzy.